The jetting suction ventury pump device is a simple tool to empty flooded cellars without having to use a separate suction pump. Using a suction ventury with high pressure machines, flooded basements can be emptied quickly without using a suction pump. 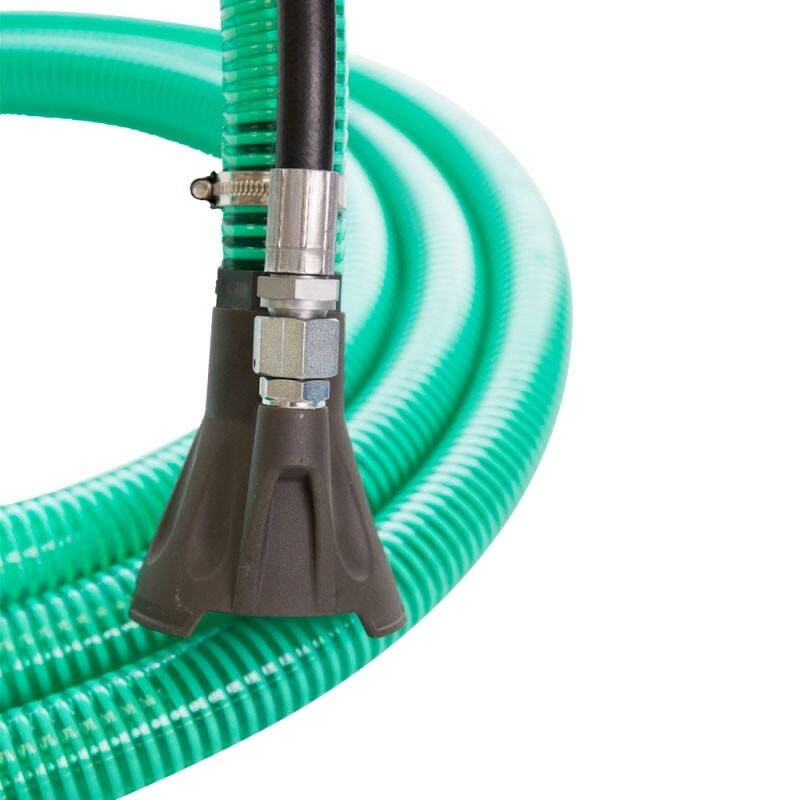 Connect the high-pressure hose to the suction ventury pump and you can use it straightaway.